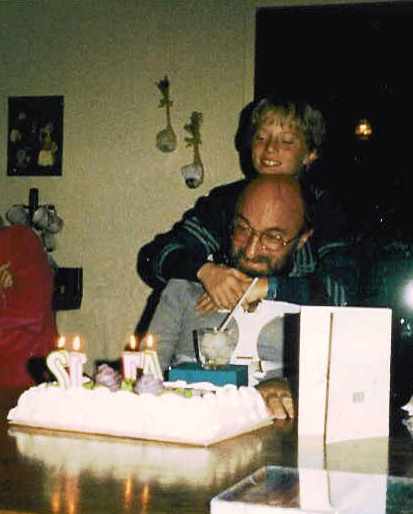 Brian Zalewski was only 7 years old, when his father, Zigmund, was diagnosed with ALS in 1982. "He was a very proud and strong man," Brian shared. "But I don't remember a lot of him when he wasn't sick." Born in 1938 in Pittsburgh into a family of modest means, "Zig" Zalewski joined the Air Force and flew rescue helicopters in Vietnam. After discharge, he became an airline pilot for United Airlines for 19 years. He later moved his family to California where he designed and built his "Polish Palace" in the hills of Moraga. "My dad was a big family man. He was funny, had lots of friends, and was very active in our church." Brian shared. "There wasn't much known about the disease then or how to effectively treat it. AIDS was at the forefront of the media consciousness, so ALS wasn't a social priority. For a while, my family lived in a little bit of a bubble, filled with confusion and hope." But the impact of the diagnosis on their family grew more devastating as the disease progressed. "My father was so stubborn and thought that he could 'beat the unbeatable'," Brian shared. "When he realized he couldn't, it broke him, and us." Brian, along with his older brother Andy and sister Jill, helped with cooking, cleaning, dressing, and bathroom care for their dad. Their mother, Fran, worked full time as a nurse, and did much of the caregiver work. Brian shared, "It all took a toll on our childhood. Not much was shared within the family about how everything felt or the impact, although we tried. We participated in church. We tried to continue with life as normal under the constant weight of the knowledge that the core of our family was dying. We didn't have any ALS support groups to help guide us. Eventually, some help came through hospice nurses in the final year." Brian was only 12 when his father died in 1986, at the age of 47. 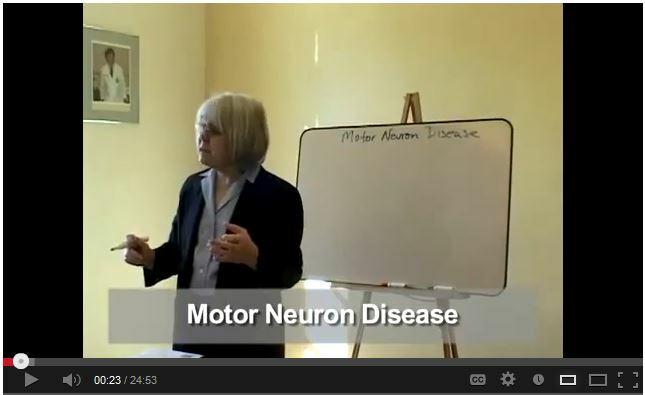 Scene from "The ABC's of ALS"
The experience was transformative for the Zalewski family. Over the years, they would give their time to help others in need, through volunteering at their church and their local hospice. It wasn't until 2003 when Brian was starting his career as a video editor, that he reached out to The ALS Association Golden West Chapter. "I wanted to use my skills to help, so I pitched an idea for a video about what ALS is and about the impact of the work of the Chapter," Brian said. "When I said I would 100% volunteer the time to create it, they couldn't say no." He continued to work with the Chapter on key educational media projects like The ABC's of ALS presented by Dallas Forshew, RN. Brian would also find a creative outlet through music. He started playing drums in in the 4th grade and honed in his style playing in bands with J.R. Rotem (50 Cent, Rihanna, Britney Spears) and Zach Rogue (Rogue Wave) throughout high school. After college, he toured with singer/songwriter Cory Sipper, played in a traveling circus, and performed with several local bands, recording sessions and musicals. 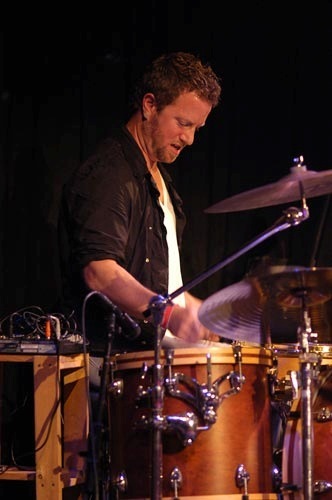 In July 2006, Brian served as substitute drummer for one show for the band LUCE. Things went so well, he was asked to join them on a month long US tour. "When we met Brian, we thought we had found a great drummer," said Tom Luce, the lead singer and songwriter for LUCE, "But it turned out we had found much more." "Having Brian join the band was like having a new best friend/soul brother enter our lives,' said Dylan Brock, who has been with the band since 2005. "It was literally just like the song lyric-'There's not a word yet for old friends who've just met'." 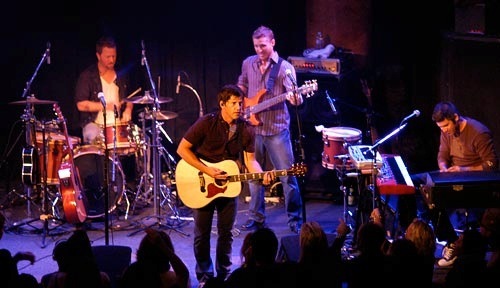 Since then, LUCE has been on thirty-five national tours, and their music has received airplay on radio stations coast-to-coast. Their songs have also been featured in movies such as How To Lose A Guy In 10 Days and 13 Going On 30, and on television shows-The O.C. and Alias. The band members had similar ideals about giving back to the community through their talents. As a group, they decided to work together to give time and resources to "Music and Schools" which support music programs for underprivileged schools. "We believe in using our music to give back in any way we can," said Dylan. 2012- Thank You for 2012, Here's to 2013! In 2010, the band agreed to let Brian use various pieces of their music in his editing projects for The Golden West Chapter. 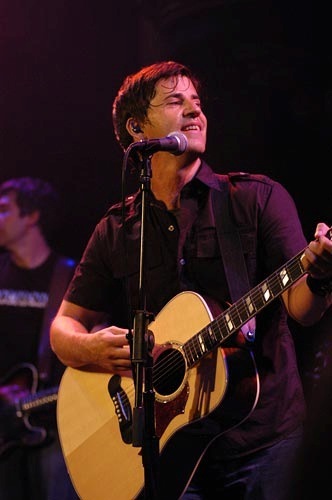 Most notably, their song "Empty Rooms" provides the musical underscore for the video "Matt Chaney is Living with ALS", which has been viewed thousands of times on the Chapter's You Tube Channel, and on baseball scoreboards for ALS awareness events with the San Francisco Giants and the Fresno Grizzlies. The song is also used during a "behind the scenes" look at 103.7's Celeste Perry's recording of a public service announcement about the Napa Valley Ride to Defeat ALS. Since that time, the members of the band continue to support people with ALS and their families through social media and public awareness events. 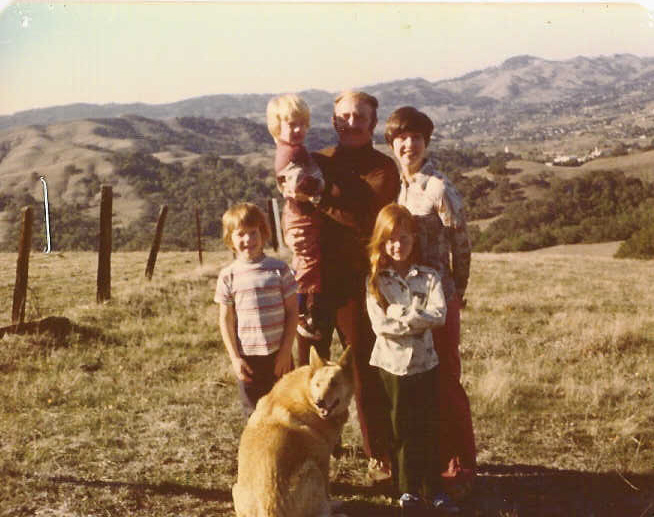 "I had no idea what ALS was until Brian shared with me his family's story," shared Dylan. "The first time that I ever met someone with Lou Gehrig's Disease was when we participated in the ALS awareness event with the San Francisco Giants. It was quite an amazing moment to see the people on the field and to experience the Matt Chaney video with our song ringing through the stadium." He added, "The applause was awesome". "We stood there with over 46,000 people in Giants stadium and watched as our music was helping to share the story of the ALS community," shared Luce. "It was extremely moving and we were honored." For Brian, he sums up his commitment and efforts as "I figure that I just need to use my powers for good. There are many similarities in drumming and editing. There's a rhythm to cutting dialogue, it may be in the breath or when someone blinks. But there's a feeling the way one scene unfolds into the next. In drumming you also have to anticipate those transitions musically. It's a 'thump', a feeling that's hard to describe but you know when it feels right. I am so happy to be able to help the ALS community in this way." Dylan Brock (not pictured), Alex Cordey, and Adam Rossi.